Have you all read the March issue of Architectural Digest? It is so good and not just because Patrick Dempsey, aka McDreamy is on the cover. 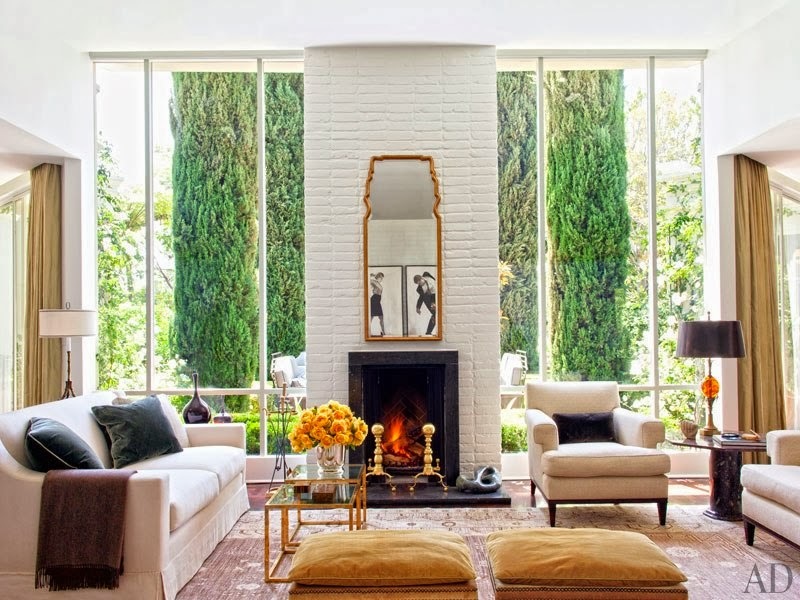 There are several homes in this issue that I really loved and my favorite is the 1950s house in the Hollywood Hills belonging to producer John Goldwyn and his husband, Jeff Klein, who happens to be the proprietor of the legendary Sunset Tower Hotel. 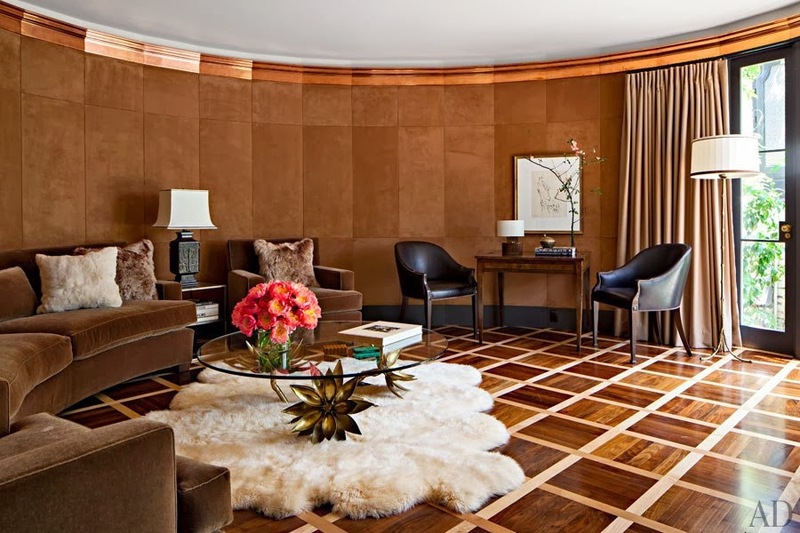 The duo worked with Los Angeles interior designer, Madeline Stuart to create a design that pays reverence to the home's storied roots while reflecting the couple's taste and lifestyle. 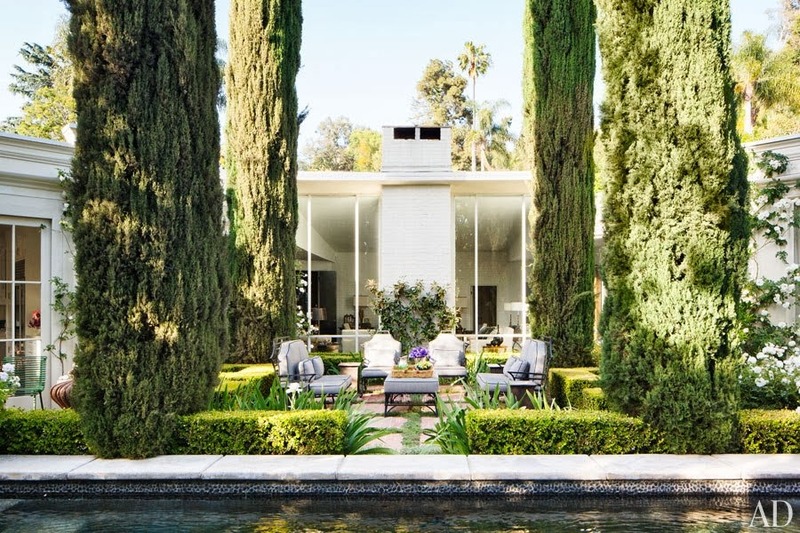 The house was originally designed in 1951 by architect John Elgin Woolf and was one of three cottages on the estate of filmmaker George Cukor. The article goes on to detail the connection between the house and Goldwyn's grandmother. It is a truly fascinating story, so you should definitely pick up the issue to get all of the details. What are your thoughts on this house? Do you have a favorite room? Adore the master bedroom, truthfully love it all. 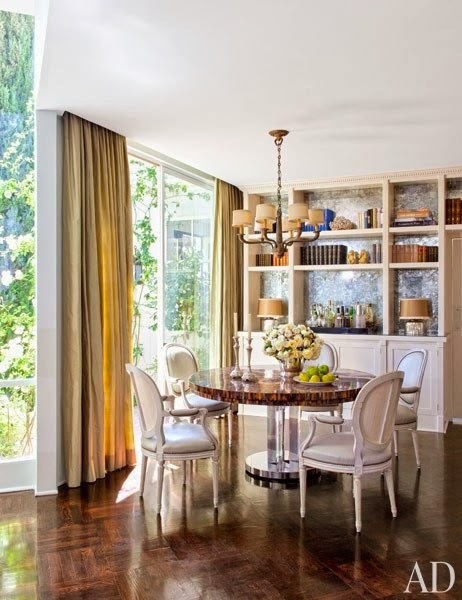 The dining table and chairs have me swooning! Oh my- that terrace has to be my favorite. I also love how the outdoors translate to the living room through those amazing windows! Lovely, Paloma! The kitchen is beautiful - I love the french doors!